Moving out of your old home and into a new home is an exciting and scary experience. The opportunity to start fresh with a clean palate (empty, open floorplan) is the exciting part, but all of the unknowns and even the newness itself can be scary for some. Whether you are more excited or more nervous for your upcoming move, we can all agree that moving, in general, is not an experience that many people enjoy. From organizing and packing to loading and unloading a moving truck, the chaos is real. 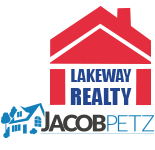 At Jacob Petz Realty, we are here to make your life easier. Whether you are looking to buy or sell your home, we will guide you through the entire process to ensure each experience is exciting, without the scary. Our professional realtors are experienced in every aspect of the real estate business and we approach every interaction with one goal in mind: making your real estate dreams a reality. That being said, we want to offer a few tips that will help reduce the stresses that can come with moving. The first thing you need to do when you are preparing for a move is make a to-do list. A list comes in handy for several reasons. All of the things you know that you need to accomplish before your move, you will have written down on paper. This is important because when it comes down to “crunch time,” your brain may not be able to recall all of the little things you need to do. Writing everything down is a sure way to recall even the smallest task that could otherwise go forgotten. We have all fallen victim to the classic, “I wish I would have written it down!” faux pas. Don’t make the same mistake twice, write things down. This will also act as a great opportunity for you to prioritize the things that need to get done. Is there a room that is going to require more attention that another? Do you still need to research local school districts to figure out where the kiddos are attending school next year? Scribble down your “high priority” tasks at the top of the list and work down from there. You may also notice that the list you wrote down is a lot shorter than you pictured it in your head. When you get things on paper, everything may seem a little more manageable. Give yourself enough time to pack. Out with the old, prepare for the move. Piggybacking off of our previous tip, you are going to have a lot more belongings to pack than you realize. Think about every single drawer and cabinet in your home. Think about closets, shelves and the garage. When you finally get to packing, pack with the mentality, “Do I really need this?” If you hesitate or the answer is no, set up a donation box and pack it full of your family’s old goodies. There’s no sense in using boxes to pack up and move old clothes, toys or kitchenware that you retired years ago. Maybe you have some more expensive or higher quality goods that you don’t feel like donating—you have options! There are countless websites and apps that guide you through the selling process; some even allow you to set up your own “store,” so if you have a lot of things to sell, this may be the perfect solution for you! Save up the money you make and take your family out to pizza and a movie after you finish moving into your new home. Tackle these things, first, when you get into your new home. It may sound like a non-priority task, but one of the first things you should do when you get into your new home is make your bed! Think about it—after a long day of moving, you’re going to want to fall into bed and crash. If your bed isn’t made, you’re going to have to search through boxes to find your sheets and then proceed to make make your bed (and possibly even the beds of everyone else in the home). Make your bed first, then start the unloading and unpacking processes. You will thank us at the at the end of the night when you can crawl into bed without having to an extra steps. Treat yourself to a good night’s sleep—you deserve it! Moving with family and friends can be fun and it significantly cuts down the amount of time you spend moving. In this sense, you should absolutely invite friends and family to help you move. Provide them with food and drink as compensation, and don’t forget that if they ever move, you are going to be their first call, so be prepared to repay the favor! When enlisting the help of loved ones, make sure you are inviting them to help on a pre-set day and time that you plan to move. Often times we have seen clients who have planned their move schedule around their friends’ availability—big mistake! Life happens and unexpected things pop up. If one of your friends is suddenly unable to help out after already committing, your entire moving plan will be thrown off and this will add so much unnecessary stress to your day. Make your own plans and hope your loved ones will be able to lend a hand. If for some reason they aren’t able to make it, you will still be able to meet your goals. On this same note, strategically plan the exact day and time of day you are going to move. Moving during the week is typically is a better idea because banks, schools and other government offices are open. This way, if you need to get utilities set up or drop by the bank, you won’t have to worry about their services being inaccessible. Similarly, think about the time of year you are moving. Is it going to be unbearably hot? Will it be raining or snowing? Even if you don’t have control over the time of year you are moving, you can still plan ahead by checking the weekly weather forecast. Yes, this is also not a foolproof way to guarantee an easy move, but at least you will be prepared for whatever Mother Nature has in store for you. You’ve heard the expression, “Time flies when you’re having fun!” Apply that same philosophy to moving and the entire process may very well just fly right by! Order a pizza, turn on some music and turn the whole experience into a celebration of new beginnings. These simple additions can help adjust your attitude and mindset and even make moving seem like a somewhat tolerable—if not enjoyable—experience! Create an upbeat playlist of your favorite jams, stock up on snacks and water, and when you get into your new space, have a bottle of champagne or sparkling cider ready to pop to celebrate all of your accomplishments! Congratulations! Call the professional realtors at Jacob Petz Realty. No matter what step of the buying or selling process we’re helping you through, we are always available to assist you with any questions or concerns you may have. Need suggestions for the best way to pack your fragile belongings? We have ideas! Curious about the school districts near your new home? We know all about them! So if you’re ready to buy or sell your home in Whatcom County, get in touch with us today. Even if you just have a last minute question about the move you’re currently conquering, we are just a phone call away! We look forward to helping you make your real estate dreams a reality!